I am a fan of this passage, and its present application as it pertains to church life. Last week, Jon Langley introduced the question about how to do church. From my perspective, Genesis 26:18 helps greatly in answering the question. The passage tells about Isaac—young Isaac, inexperienced Isaac. As he began to move about in the land and enjoy/obtain the promised inheritance, he encountered some difficulties with Abimelech, king of the Philistines. In spite of these difficulties, Isaac was blessed and became very prosperous. Things were going well for him when he came upon some wells that had been dug by his father Abraham. 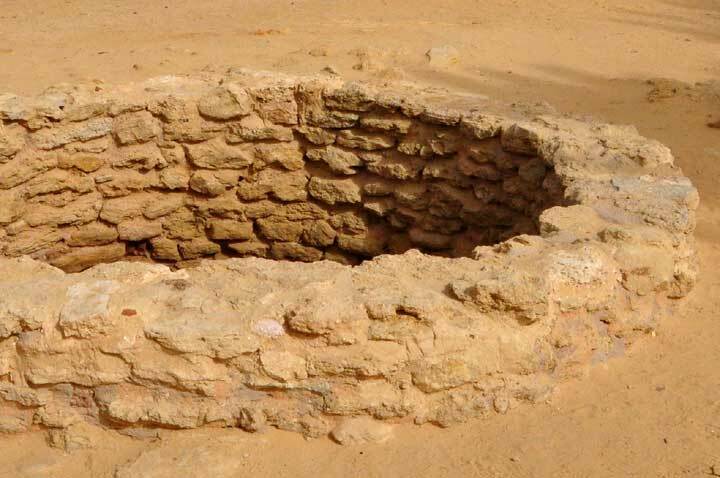 Although these wells had been earthed by the Philistines for some reason, Isaac felt it well worth the time and effort to unearth and re-dig the same wells. Apparently he sensed that these wells were valuable, having been dug by his well-respected father. Not only did he re-dig the wells, he revived their names. He called them exactly what they’d been called when Abraham had named them at first. The connection between this story and the present day question of how to do church seems obvious to me. The application of this connection may not be so obvious. If we’re going to do church today we should do it in view of history, in the light of what has been done before. Like Isaac with his father, we should respect the work of those who have gone before, and we should build upon any solid, Christ-centered foundation they have laid. So how far back do we look? As far as the church is concerned, we have to go back to her Founder, namely Jesus. Sadly, in far too many places even His well has been covered up. Living water isn’t flowing in such places, to be sure. Jesus is the One who said that He would build His church. Paul later added that no other foundation could be laid than that which has been laid. The foundation is Jesus Himself. We must also look back and re-dig the wells of the apostles and prophets. We do this primarily through the study of the NT epistles and the book of Acts. We don’t need to look around today nearly as much as we need to look back. We look back to Romans for soteriology, to Ephesians for ecclesiology, to Colossians for Christology, to James for practical Christian living, to the book of Acts for the pattern of ministry in the power and direction of the Holy Spirit. Additionally, we look back and re-dig the Christ-centered, apostolic wells that are evident from church history. When we find such wells, we drink deeply and wisely, constantly measuring water quality through the tests of Christocentric and Biblical revelation. And when we do look around at current methods of doing church, we’re in a constant evaluation mode. Is this thoroughly Biblical? Does it appear in the nature and teaching of Jesus? Is it found as a pattern anywhere in the book of Acts? Is there specific teaching on it in the epistles? Does it square with the two great commandments? Isaac would have been extremely unwise (and disrespectful) had he decided to just pass by and ignore those old wells. So it will be for us, if we only look around at what others are doing … and fail to look back to what has gone before within the plan and purposes of God. Thanks, Travis! Hope all is well in your neck of the woods. Sorry about the Seahawks. Bill — excellent stuff! I feel you provided the laces to tighten up the loose shoe of thoughts and ideas I was throwing around. These wells seem to be full of sand still. Thanks, Jon. I agree and salute your efforts to push us American pastors in these areas. Yep, lots of wells need to be redone. Well, thanks for a well written article. I dig what you wrote about digging up the old wells. Something that is happening in the CC movement is exposure to the long history of the church and an appreciation of how God has flowed through human vessels in the past. There’s been more than one ‘gusher’ of the Holy Spirit in the history of the church and as we see the wells that have flowed w life giving water in the past, it can only help us see and think through what God is doing today. Thanks, Bill. Thanks, Tim. I’m excited that this year’s senior pastor’s conference will include a focus on helping the younger guys benefit from aspects of the wells that have been dug in the Calvary Chapel movement. Amen! So often we can view the well as no longer relevant just because it’s been filled in by someone. But gospel wells always run deep with a continual flow. Some of the wells we may seek to dig, may be dug in the wrong place, or may not be dug deep enough to tap into the flow of grace displayed before us (2 Timothy 1:13). Well said, Matt, well said. I’ve heard of some younger guys (and older guys as well) who won’t read any commentaries by anyone who’s not already dead. May be some wisdom there. Thanks Bill for that great article I couldn’t agree more. You’re welcome, Craig. Thanks for reading. I was thinking how Isaac was obviously looking back at the work his father had done in the past in digging these wells. He thought about it. He decided to invest in re-digging those same wells and giving them the same names…even though they produced “Quarrels” and “Enmity”. But he was nonplussed and forged ahead. He was eventually granted “Spaciousness”. The Lord then appears to him and reaffirms the covenant promise and tells him not to be afraid. The tensions must have been running high in the land up to this point. Now even Isaac’s enemies are at peace with him. The servants come and tell Isaac, “We have found water.” Now blessing is poured out on his spaciousness. Isaac not only did this to “look back”. He also did this because he was thinking ahead. Thinking of those who would come after him. He had a mind to the past and a heart for the future. His actions, how he invested who he was, what he had, relating to what God was promising, proved that he believed God. Interesting to me how God allows our time and talents and treasure to be spent in digging up the old wells. He blesses that effort, that seeking, that knocking, that digging. May we not look back just for “looking back’s” sake. We should also be looking back so that we may be reminded of the promises of God made to us, and how he desires to use us in the days ahead. Thanks, Josh. Great comments, really appreciated. I wholeheartedly agree … the benefits of looking back include improving our memories of God’s faithfulness, and providing the framework for looking forward. God’s faithfulness in the past ensures His willingness to do the same in the present and future.